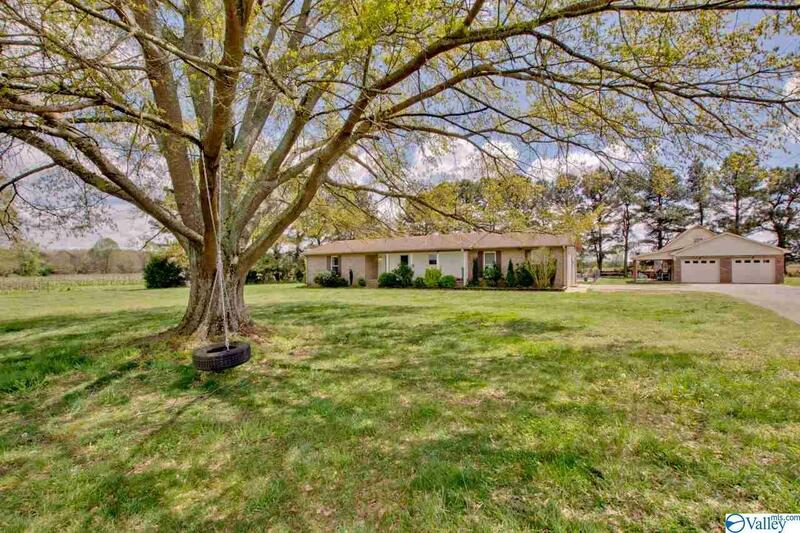 ***OPEN HOUSE Sunday 4-28-19 from 2 to 4***10 acres with a beautiful 3 bed, 3 bath newly remodeled home! All new windows and HVAC less then 3 years old.Hardwoods throughout house and tile in bathroom and kitchen. Master bath has a 6 x 6 walk in shower with large Jacuzzi tub and raised vanity. Large walk-in closet with built in shelving. Large in ground swimming pool beside a 2 car garage with attached covered patio and another separate 2 car garage. 500 gallon propane tank with a large 16 x 32 back deck. Tank less water heater. Land has no restrictions, can have farm animals.